Open Year Round ~ Sunday through Thursday 11 a.m. - 8:30 p.m. ~ Friday & Saturday 11 a.m. - 9 p.m.
Our Pizza is One of the Best! ALL FULL SALADS ARE SERVED WITH PITA BREAD. 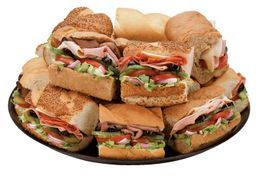 Ask us about our cold sub party platters and salads.